Obituary for Dawn Kosarko | Cyril F. Mullins Funeral Home Inc. Dawn Kosarko, 41, born on Valentine's Day February 14, 1978 at St. Vincent's Hospital, died Monday, March 18, 2019 at St. Vincents Medical Center, after a long, hard 6 year battle with Type 1 Complex Diabetes and many serious medical problems. Dawn loved singing, music, and all dancing with tap dancing being her favorite. She appeared in many Theatrical and Musical performances, and was Co-Captain and choreographer for the Trumbull High Dance Team. She graduated from Sacred Heart University and was a member of Alpha Kappa Delta, Sociology Honor Society. 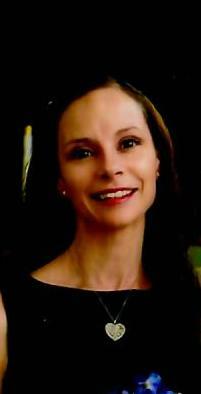 Dawn worked in retail jewelry sales, as a medical receptionist, a clerk for the Town of Trumbull, and as an eligibility specialist for long-term care for the Department of Social Services, State of CT. She received many letters from applicants and their families for her kind and understanding help. Dawn is survived by her parents, Ronald Peter Kosarko and Dolores Mary Rice-Kosarko; husband of four years, James Lyle Krieg, and stepchildren, Ronnie 19, and Michael Krieg 15 of Norwalk. She was predeceased by Grandparents, Charles Irving Rice, Rose Toth Rice and John and Dorothy Kosarko, all of Bridgeport; beloved Aunt Loretta Rose Rice Rivera of Florida and a cousin Darlene Leites of Tennessee. Survivors include special Aunts, Linda Rose Rice, her Godmother and Sister Dorothy Mary Kosarko SSND of Wilton. Three cousin-sisters, Laurie Rose "Buttons" Johnstone of Florida, Charity Kerrigan of Waterbury, Amber Tenaglia of New York, and Bridget and Brian O'Toole. Also Uncles Richard Stoliker I, Peter David Rivera, Thomas Kosarko and Steven Kosarko, Aunt Eileen and Melissa and numerous other relatives and friends. Dawn loved all animals and made many cat shelter adoptions. Her most recent, a tiny canine, her beloved "dog dog" Justice. She was a kind, quiet, and very giving person. In lieu of flowers, Dawn requests daily prayers for her and your loved ones and, if able, to visit the Chapel of our Lady of Fatima at St. Theresa's Church in Trumbull. Donations can be made to the American Diabetes Society, or to your local food bank. A family only wake was held at Cyril F. Mullins Funeral Home in Trumbull, mass of Christian burial at St. Theresa church, and final resting place at Gate of Heaven Cemetery. A memorial service will be held at a future date. The family would like to extend their gratitude to the St. Vincent's Medical Center Newborn Intensive Care Unit and the Critical Intensive Care Units.